Cooperation, not competition, was the name of the game when the "Pintail Partners," a coalition made up of duck hunters, advocacy organizations and the S.C. Department of Natural Resources, worked together to provide a standout waterfowl hunt for youth hunters this past January. 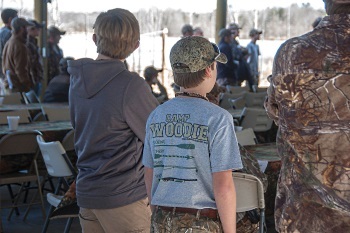 Saturday, January 31, 2015, dawned crisp and clear, as excited young people from across the Palmetto State (and even some from neighboring Georgia and North Carolina) converged on the South Carolina Waterfowl Association Education Center near Rimini for what organizers hope will become an annual event - a youth waterfowl mega-hunt sponsored by Pintail Partners of South Carolina. 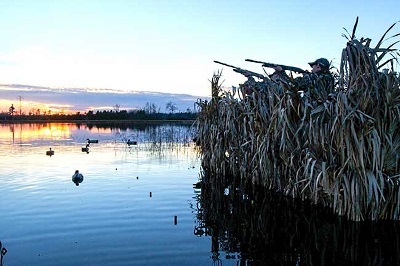 Pintail Partners, established in 2014, is a group of dedicated waterfowlers who individually are also members of either Ducks Unlimited, the South Carolina Waterfowl Association and/or the Delta Waterfowl Foundation. 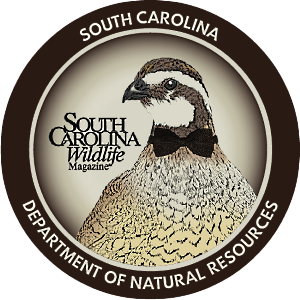 In an unprecedented joint venture, and with the blessing and backing of all three of these waterfowl conservation groups, last year Pintail Partners instituted a youth hunt for those who registered, but were not selected, for a S.C. Department of Natural Resources federal youth day lottery-drawn hunt. 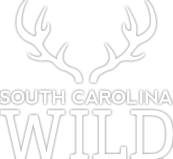 Pintail Partners' mission is to "provide additional access to waterfowl hunting to the state's youth hunters," said board member (and S.C. Conservation Bank Executive Director) Marvin Davant. "Our objective is to recruit young people to participate in outdoor recreation and, in particular, to support our tremendous waterfowl and wetlands natural resources by getting [the youth] involved." 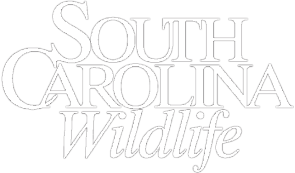 All three organizations: DU, SCWA and Delta, along with the Hampton Wildlife Fund, donated money for the event, while the SCWA Education Center served as the headquarters. Many months and man hours went into the planning of this event, which might best be described as "no youth hunter left behind." To facilitate the invitational hunt, the DNR scheduled one of the state's elective federal youth waterfowl days at the end of the season and notified individuals who applied but were not drawn for a youth day hunt on DNR-managed properties that this additional opportunity would be available for all who wished to participate (and participating in the Pintail Partners hunt would not affect preference points for next year's DNR hunt drawings). SCWA board member and Pintail Partner member Lou Tocci contacted neighboring hunt clubs and private landowners who graciously offered their ponds for use on the day of the hunt. 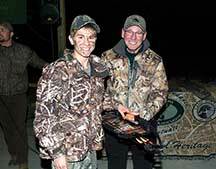 Tocci also lined up duck hunting related demonstrations and vendors for the event. Ed Paul, the director of the SCWA Center, set up a complementary luncheon. Paul, in conjunction with Pintail Partners, was charged with working out the logistics of hunting assignments for the participants, their parents or mentors and guides, in blinds located on SCWA ponds or on various nearby private properties. A daunting task, as anyone who has managed even a small group hunt can easily attest. "We simply could not have done this without Ed Paul's hard work," remarked one Pintail Partners member. Sixty-eight would-be waterfowlers, boys and girls ranging from elementary school-age to age fifteen, responded to the invitation. 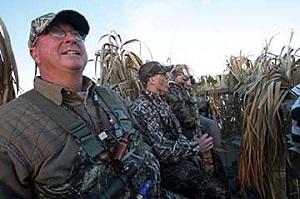 When the group assembled for registration, each participant was given a Pintail Partners hunting cap. Delta Waterfowl furnished a camo hunting bag with a duck identification booklet and a First Hunt book. Ducks Unlimited added a flashlight and duck call. Drew Wynn, owner of Winn Tuck Waterfowl Lanyards of Rock Hill, an on-site vendor, donated a lanyard for each bag. After registration and receiving their hunting site assignments and designated guides' names, the youth and their mentors joined the guides and hosts for a light luncheon. While everyone was enjoying the meal, certificates of appreciation were handed out by Davant to individuals who had helped make the event possible. Davant also addressed the assembled guests, reminding them of their need to commit to protecting our natural resources for themselves and future generations. Following the meal, gun safety was reviewed. Then guests were free to watch demonstrations in retrieving, decoy carving and taxidermy. 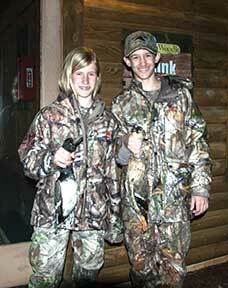 Around three o'clock, the young hunters left with their mentors and guides for their assigned blinds. As guide John Hilton waded toward the blind, he noticed his eight-year-old companion was getting in water too deep for his waders. The solution: let the boy ride on the decoy sled with the decoys. Problem solved. Then the other youth hunter, a fourteen-year-old lad assigned to Hilton, helped set the decoys, as did the two boys' fathers. Afterwards, all settled into the blind to await the arrival of the ducks. Hilton reviewed safety procedures and explained why the decoys were set in certain positions. Time passed quickly as the elders related previous duck hunting experiences, but talk turned to whispered instructions once ducks were sighted. The end result was three harvested ducks: two ring necks and a mallard hen and a memorable, bonding experience. Meanwhile a group of parents and other non-hunters was sitting around a campfire outside the education center, waiting for the return of the hunters. Some DNR personnel and hosts were there, but the group also included some parents who made the drive to Rimini because they wanted their children to experience the rich hunting heritage of our state and to appreciate the natural beauty of the setting. They felt comfortable sending their sons and daughters out with experienced guides who would follow safety and harvesting rules. One parent, a widow who worked at her laptop in the lodge building while the hunt was going on, paused to explain that she was from the Arkansas delta country. 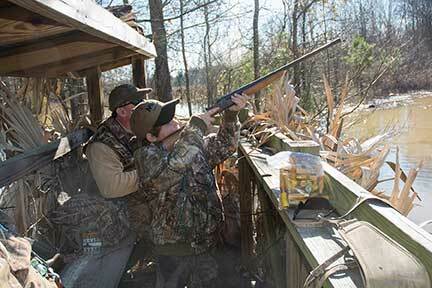 Her son's cousins enjoy duck hunting there, and she wanted him to have the same adventures in South Carolina. By prearrangement, Pintail Partners provided both a guide and a mentor so her son could have cherished hunting tales to share. 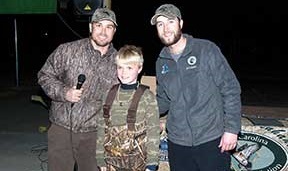 At dusk, the group reassembled at the education center to recount the afternoon adventures, tally the number of harvested ducks (eighty-one) and draw for donated door prizes. The tired, but exhilarated, young hunters chatted about seeing and identifying various types of ducks and the shots they had made (or missed). Some were able to bag their first ducks. Among them was Jed Conrad, whose mother drove him to Rimini from their home in White Rock for his first duck hunting experience. Ethan Mitchell, who travelled from the Upstate to attend, also harvested a duck. His father explained that they hunted in the rivers at home, but this event gave Ethan the experience of shooting over an impoundment. SCWA's Ed Paul thanked everyone for coming and reminded them to pause and be thankful for this opportunity to enjoy God's creation. 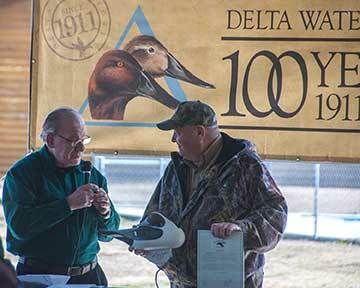 Through this inaugural event and future Pintail Partners youth hunts, the organization hopes to plant a seed of commitment that will encourage today's young waterfowlers to become tomorrow's leaders in conservation, passing the torch of enlightened conservation, wise use of our abundant natural resources, safety, sportsmanship and responsible outdoor enjoyment to future generations. 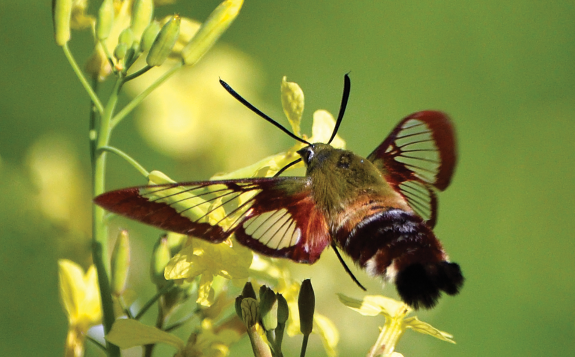 Freelancer writer and Master Gardner Gigi Huckabee lives in Lexington.